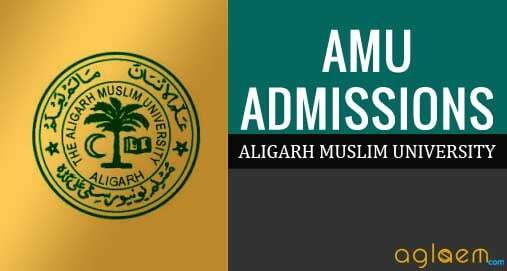 AMU Admit Card 2019 for MBA – Aligarh Muslim University (AMU) will release MBA and MBA (International Business) entrance exam admit card. Candidates who have applied for the AMU 2019 MBA entrance exam can download admit card at amucontrollerexams.com. It is important to note that admit card for MBA entrance exam will not be sent by post. Candidate must download it and paste recent passport size color photograph. 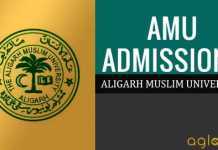 Get here complete details of AMU Admit Card 2019 for MBA such as its date and link to download. AMU has accepted forms for MBA entrance exam and admission. Now it is releasing AMU 2019 admit card as per following schedule. In order to download the admit card, the candidate needs to log in. Login credential required will be transaction ID. Therefore candidates should keep transaction ID handy to log in. Step 1:- Click on the link above. Step 2:- Select a course and then enter the Application Number. Step 3:- Click on “Download the Admit Card’. Step 4:- See admit card that appears on screen, check details. Download it. Paste recent passport size color photograph in the space provided. It should be the same as the one in your AMU 2019 MBA application form. Also, take one extra photograph with you on the day of an exam. the extra photo has to be pasted in the attendance sheet. If there is any discrepancy in the AMU 2019 MBA Admit Card 2019 contact concerned department. 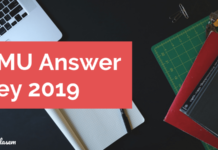 Candidates may note that the AMU 2019 MBA Admit Card 2019 will be released provisionally. In other words, your eligibility check is subject to document verification that takes place later on. Candidates must check allotted center and roll number for AMU 2019 MBA admission test, in the admit card. Test Paper Details: TThere shall be one objective type paper of 200 marks comprising 200 questions on (i) Environmental Awareness (ii) Quantitative and Numerical Ability (iii) Comprehension and Verbal Ability (iv) Reasoning and Intelligence (v) Data Analysis and Interpretation. Qualifying Examination: Bachelors degree in any discipline with at least 50% marks in aggregate. Test Paper Details: There shall be one objective type paper of 200 marks comprising 200 questions on (i) Environmental Awareness (ii) Quantitative and Numerical Ability (iii) Comprehension and Verbal Ability (iv) Reasoning and Intelligence (v) Data Analysis and Interpretation. Additional Information: There shall be a Combined Admission Test for admission to MBA, MBA (IB) and P.G. Diploma in Islamic Banking & Finance.